Advances in technology have given new hope to infertile couples and have improved their chances of having a baby. The cost associated with infertility treatment can vary. At RRC, you can save 6 weeks and $6000 (compared to biopsy embryos and freeze all cycles). For additional ways to save on IVF, check out our Unify IVF Program. 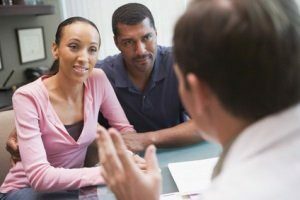 During your initial consultation, you will meet with our financial counselor to go over the details of your specific treatment costs and any infertility insurance benefits. It is recommended that you check with your insurance company before your consultation appointment to give you a better understanding of your infertility health care benefit. Our financial counselor can then review your benefits with you on your visit. Costs for most treatments, including in vitro fertilization (IVF) often vary and are based on your specific diagnosis and treatment plan. Payment for services is requested at the time the service is provided. We accept most major credit cards and most major insurance providers and programs. We will help with filing any charges to your insurance company for those procedures covered by your policy.